The JNF-KKL September 11 memorial in Israel. 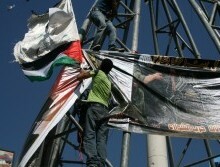 Photo Courtesy of the JNF-KKL. The only memorial outside the United States that names all of the victims of the September 11, 2001 terror attacks is in Israel. In view of that, it’s not surprising that US Ambassador to Israel David Friedman highlighted the special bond between the countries at the recent annual ceremony marking 17 years since the attacks. 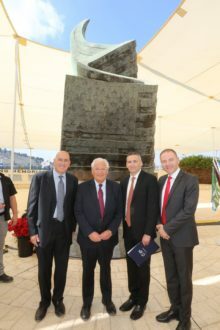 “In this beautiful plaza, at this inspiring location, we remind the families of those lost and we confirm to people everywhere, that we stand together—Americans and Israelis—and that together we continue to heal and to build, in a spirit of solidarity and commitment to the future,” said Friedman in comments published in a Jewish National Fund (JNF) press release. The memorial was held on September 6 due to 9/11 falling on the Biblical holiday of Rosh Hashanah (also known as the Jewish New Year) this year. The United States last week at the United Nations warned another regime-led offensive in Syria—this time against the province of Idlib—would “create generations of Syrians who will never forget” the brutality of the Syrian regime, and it’s not just the Syrians who are to blame. 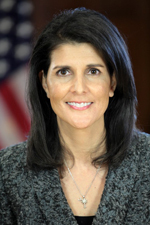 Russia and Iran also were slammed by US Ambassador to the United Nations Nikki Haley for being President Bashar al-Assad’s “enablers” in the atrocities in Syria. Israeli aircraft fight back against terror from above. 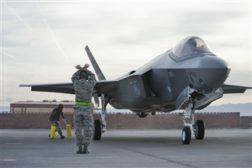 Illustrative image of F-35. Image courtesy of the US Department of Defense website. The appearance of U.S. Department of Defense (DoD) visual information does not imply or constitute DoD endorsement. When Israel said it intended to prevent Iran from establishing a base in Syria, they meant it—striking more than 200 Iranian targets in Syria since 2017. The Times of Israel, citing senior IDF officials in a press briefing on Tuesday, reported that Israel hit the hundreds of targets—which included advanced weaponry and military bases—with 800 bombs and missiles. The Egyptians are working to fix the ongoing rift between the Hamas terrorist group that controls Gaza and the Palestinian Authority—led by President Mahmoud Abbas and controlling territory in Judea and Samaria (also known as the West Bank)—and to that end Abbas met with their delegation to talk on Saturday. The Palestinian governments in Gaza and the West Bank have been controlled by rival factions since 2007, when Hamas threw the PA out of Gaza in a violent coup. Since then, multiple attempts to reconcile the sides—considered by some to be a key step before the Palestinians can sign a lasting peace deal with Israel but what also could reintegrate a recognized terrorist group into the official Palestinian government—have faltered. The top American diplomat for the Israel-Palestinian peace process rebuked the ruling Palestinian Authority (PA) on Wednesday and issued an indirect warning if they don’t do what’s necessary for their people. 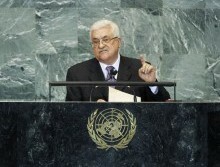 In response, the PA again rejected the United States’ peace efforts.